How to cook eggs precisely how you like them once and for all. Enjoying an egg with a cup of coffee is a nice thing to do before anything else in a day. And already knowing how to cook the egg makes the transition from sleep to humanity more seamless. Cooking eggs is easy: Put them in boiling water straight from the refrigerator and gently cook them for the right amount of time. What’s the right amount of time? First, know the size of your egg, then decide how you want it cooked. When I’m eating one on its own, I prefer a jammy egg with tender white and the bright, translucent yolk set at the edge with a liquid center, but when eating it with toast, the yolk should be softer so it can be a sauce. When I am making deviled eggs, it needs to be properly hard-boiled for a tender white, dry yolk filling that’s fluffy, not gummy. None of these eggs should have the weird green ring around the yolk because no one likes those. You are already storing eggs in the refrigerator. If the eggs are cold enough, you can be precise with timing, and the temperature difference might help with peeling. For 6 eggs, use 4 quarts of water; for a dozen, use 6 quarts — that way the temperature of the cooking water doesn’t plunge when the cold eggs are added. Even food scientist J. Kenji López-Alt admits that peeling an egg is not always easy, but there are ways to increase your chances: Don’t use eggs that have just been laid. Most store-bought eggs are old enough, but if you keep hens or buy farmers market eggs, don’t boil them right away. Plunging cold eggs into hot water or steaming them in a pot or a pressure cooker, aids easy peeling. Peel them about 10 minutes after cooking — that seems to be the optimal time for easy shell removal. Putting eggs into a big bath of ice water the moment they are done cooking will stop the cooking, and that’s why we do it. It’s not strictly necessary if you are eating the egg right away. As soon as it rings (for a large egg: 6 minutes for soft, 9 minutes for jammy, 11 minutes for hard), plunge each egg into a bowl of ice and water to stop the cooking. There are so few variables left (egg size, water temperature, and water amount) that you can get pretty precise and consistent results. Eggs are sold by size. I like large eggs. Medium eggs are about two-thirds the size of jumbos, enough to make a difference in baking and boiling, because it takes a certain amount of time for the heat to penetrate the volume of an egg. You may want to poke a little hole in the end of an egg to reduce its chances of it cracking when you put it in the boiling water. 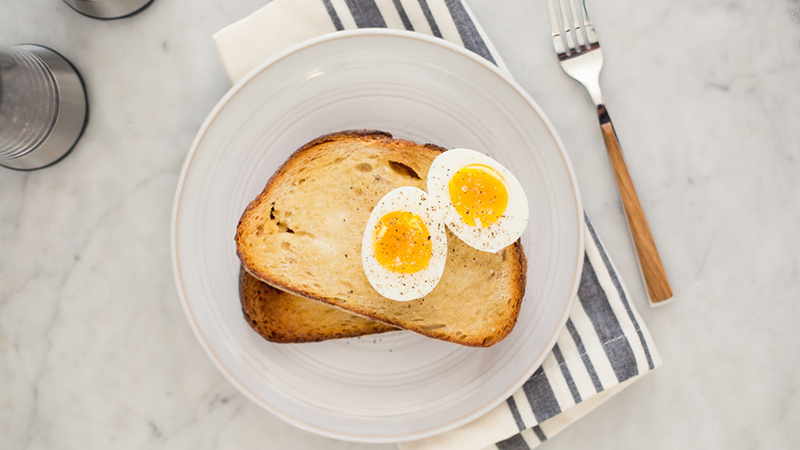 Do you have any surefire egg tips? Share them with us! Bring 4 to 6 quarts water to a boil and lower 6 to 12 eggs into it (keep water boiling throughout). Time 6 minutes for soft-boiled eggs with a liquid yolk, 9 minutes for medium eggs with a jammy yolk or 12 minutes for hard-boiled eggs. We’re using our Punctual Egg Timer with Piercer, but if you don’t have a timer use your phone or kitchen timer. When the timer rings, transfer eggs from the boiling water to a bowl of water with ice cubes, and chill until cool enough to handle about 3 minutes. Crack eggs all over and peel starting at the big end. Eat or chill another 10 minutes in the ice bath. Store refrigerated, until ready to eat. If you bolled eggs for Easter and you were going to devil some. BUT you forgot and left them out all night at room temperature. Are they ok to still devil ? We wouldn’t recommend eating the eggs that were left out for that long just to be safe. Matters not the size of egg, amount of eggs or size of pot. Older eggs do work best. Fool proof method used for more than 70 years by mother, grandmother and great-grandmother. Fill pot with cool water, add eggs and make sure they are covered with at least 1 inch of water. cold running water. Add ice when water in pot is cool. Easy peel and no green ring. Pressure cooker, cook for 3 minutes on high unplug after the timer goes off and let it sit for 7 minutes on natural release after 7 minutes up put them in ice water, I let them sit in the ice water for thirty seconds an then deshell them hitting the pointing side first because it’s where the air pocket sit and give it a lightly gentle roll it will peel or roll off easily. I have a rule of thumb that works equally well on large and extra large grade a eggs and I add about a minute in the rare occasion I use jumbo size. Put the cold eggs in salted cold water so the eggs don’t crack, cover and bring to a boil at high heat. This takes about 5 and 1/2 minutes on my stove. Once the water comes to a boil, remove the cover, reduce heat to medium-high, and boil for 5 minutes. When the timer pings at 5 minutes, move the pot of eggs off the burner, cover the pot and let sit for 5-minutes. 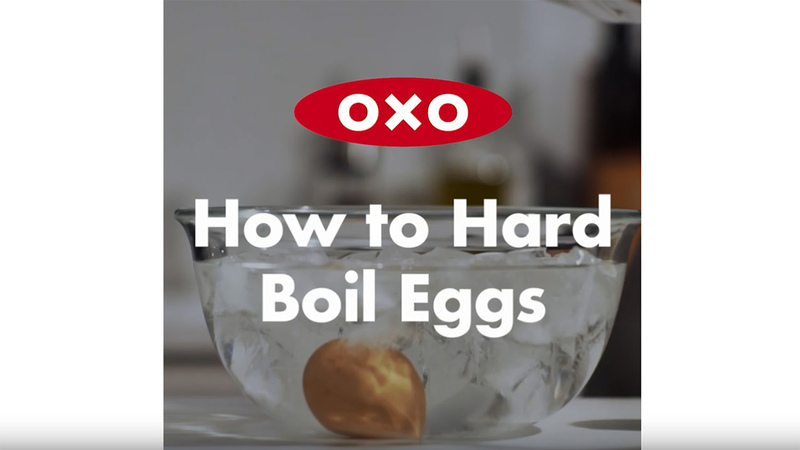 At the end of five minutes, remove the eggs with a slotted spoon and plunge into an ice-water bath. Let the eggs sit in the ice-water bath for at least five or six minutes but really, they can stay for longer. Once they are well-cooled down, peel the eggs and refrigerate. Voila. Hard boiled eggs suitable for egg salad, deviled eggs or just plain ol’ hardboiled eggs. The yolks come out sunny yellow without that grey aurora that can surround an overcooked yolk. The yolk is pristine white. My two cents. Do you sell this timer on your site? We do! You can purchase it here.